Kildeer, IL (February 12, 2019) – Steven Baer (Principal) and Sharon Bar-Shalom (Associate Broker), of Metro Commercial Real Estate, recently represented Guanajuato Contemporary Mexican & Tequila Bar in the leasing of 2,315 Square Feet at The Quentin Collection; located at 20771 N Rand Road in Kildeer, Illinois. Guanajuato joins tenants Best Buy, Stein Mart, PetSmart, Tuesday Morning, Pure Barre, among many more at the 171,530 SF shopping center. 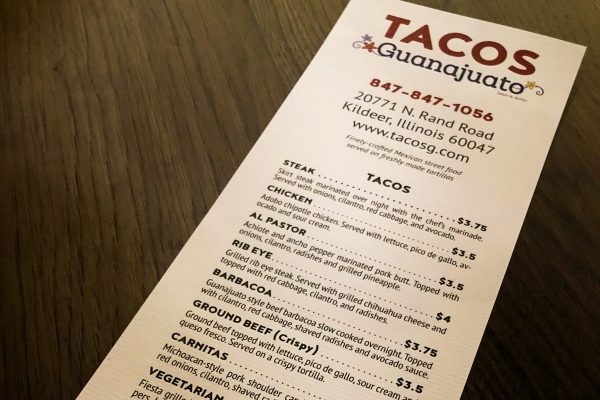 This will be Guanajuato’s second location in the Chicagoland market. Their first location at 73 Green Bay Road in Glencoe, Illinois has been largely successful. Metro Commercial Real Estate is a principal – based commercial real estate firm whose mission is to provide a high level of personal service combined with state-of-the-art technology to accommodate the complex need of its select group of retailers, developers, and retail property owners. As one of the industry’s leaders in product leasing and tenant representation, Metro’s seasoned corps of professionals have secured more than ten million square feet for regional and national retailers. We fuse traditional Mexican food with contemporary preparation and the highest quality ingredients to provide you with the most flavorful and freshest Mexican dishes you can find anywhere! © 2019 Metro Commercial Real Estate. All Rights Reserved.